a) How to build it? -- regular verbs: verb base (infinitive without 'to') + ed. ( The - ed finals are pronounced: [t], [d], or [id] ; please, learn the pronunciation together with the verb. - At the last general meeting, I didn't see her, but she saw me ! Did you see her ? d) The simple past is the tense of narration, Stories are told in the simple past. - He came in and said "Hello" to the whole family. a) How to build the present perfect? : it's always built with the auxiliary HAVE : HAVE (HAS in the 3rd pers. sing.) + past participle. : The past participle is --- either the base verb + ed for regular verbs. For the interrogative form of the present perfect, you simply have to invert the normal word order => simple inversion= has/have auxiliary + subject...? The negative form is made by the addition of not between the auxiliary and the verb. - Yes! I have seen him but he hasn't seen me! Have you seen him too? b) When to use it? : ** To express an action happening in an unspecified period between the past and the present., or if the time when the action was done is not important. ** When the action was performed during a period that hasn't finished yet. ** If the past action has consequences on the present. - Of course ! I have already read this book several times. 3) THE PRESENT PERFECT in - ing : is used to insist on the duration of the action. - He's been living in Chicago for 20 years, but he'll come back to England next year. At times, both forms (the simple present perfect or the - ing form) may be possible. - Stative (or state) verbs: agree, be, have, know, need, seem, think etc. - Verbs of perceptions: see, hear, feel, smell, sense, etc. I know you don't like the present perfect... Please, be very careful and everything will go well for the test, especially as Lucy is taking you to Paris tennis open (Roland Garros)! My first Roland-Garros, by Lucy, 4 years old. Read me well! 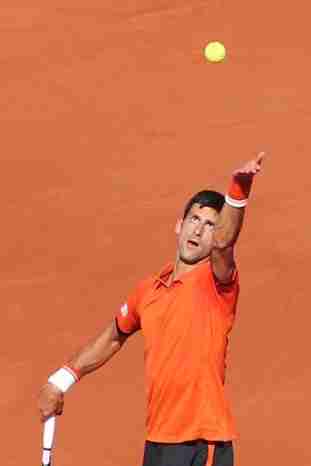 I 've never playednever played've never playingnever plaidI don't know in Roland-Garros, not yet!... I just wasI've just beingI just beenI've just beenI don't know a very proud spectator there. Last year, I 'm attended've attendedwas attendedattendedI don't know the opening of the tennis tournament in Paris (France), on 'Kids'Day', a very special and unforgettable occasion. 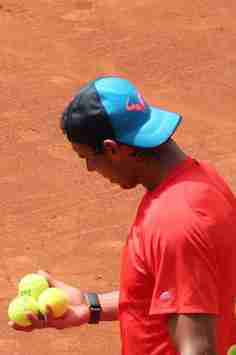 My parents and uncle has playedhave been playinghas playedhas been plaidI don't know tennis their whole lives. They even 've offeredofferedhave offeringI don't know me a (mini) tennis racket when I have beenwashas beenwereI don't know two. Then, I 've hittedhitted've hittinghitI don't know the ball and sendhas sendingsendingsentI don't know it back (well, I tryedhave tryed's been tryingtriedI don't know to...) bouncing it. 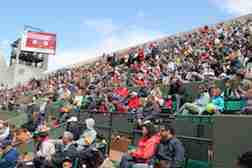 On that Saturday, I have sithas satsatsittedI don't know there in one of the VIP boxes of the Philippe Chatrier (Central) Court, and was watchhas watchedwatchtwatchedI don't know Tsonga and Federer play. What a pleasure! I can really say I 'm applaudingapplaudedhave applaudhave applaudedI don't know and cheered the players, (between games...) I pose's posedposthave also posedI don't know for souvenir photos. 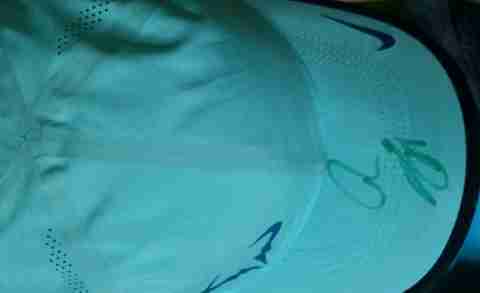 I 'm mesmerizingwas mesmerizedhave mesmerizedI don't know when my cousin got Nadal 's autograph on his tennis cap. (From that moment, that cap never washedbeen never washedhas never been washedis being never washedI don't know again!) I meetedmethave meethave meetedI don't know many tennis stars on that Saturday.